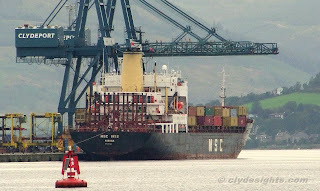 One of the more varied container services running to Greenock is that operated by the Mediterranean Shipping Company from Antwerp. 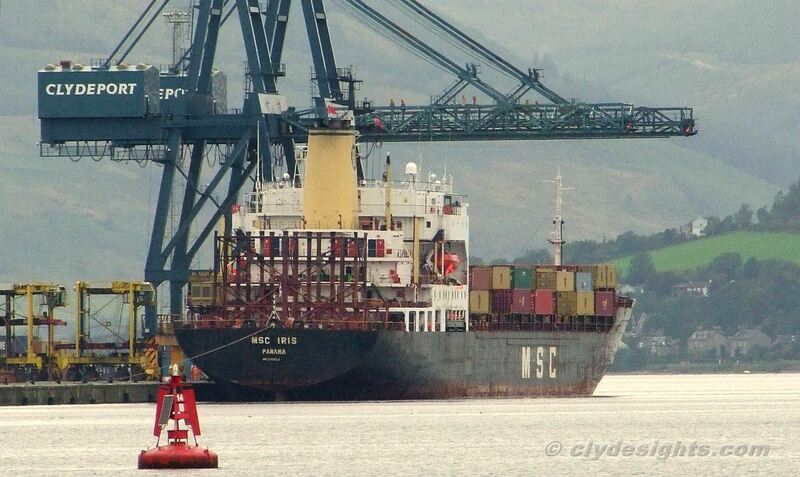 A wide selection of vessels of varying vintage and origin has appeared on the run, including this one, MSC IRIS, seen above on her first visit to the Clyde. MSC IRIS was built in 1982 by VEB Warnowwerft Warnemünde at Rostock, in what was at the time East Germany, for Soviet owners. Originally named KAPITAN GAVRILOV, she was later lengthened and, in 1995, renamed LISBOA. Now 203.1 metres long, and with a deadweight of 21,370 tonnes, she was subsequently renamed several times eventually becoming MSC IRIS in March 2004.